If you follow me on any social media platform (and if not then you totally should 😉), you will know that I recently attended a wedding fayre curtesy of Elegance of Happiness. Elegance of Happiness are an events organisation and network company, who operate within the midlands and specialise in wedding fayres. Mainly ran by the lovely Amanda, I was delighted to get to work with them for the day on social media coverage, a video and this post. The first thing that I want to say is that I had absolutely no idea what to expect from this wedding fayre. A lot of the previous fayres that I have attended have been national fayres so much larger and busier, and I was aware that this fayre was to showcase exhibitors much more local to the Leicester area. 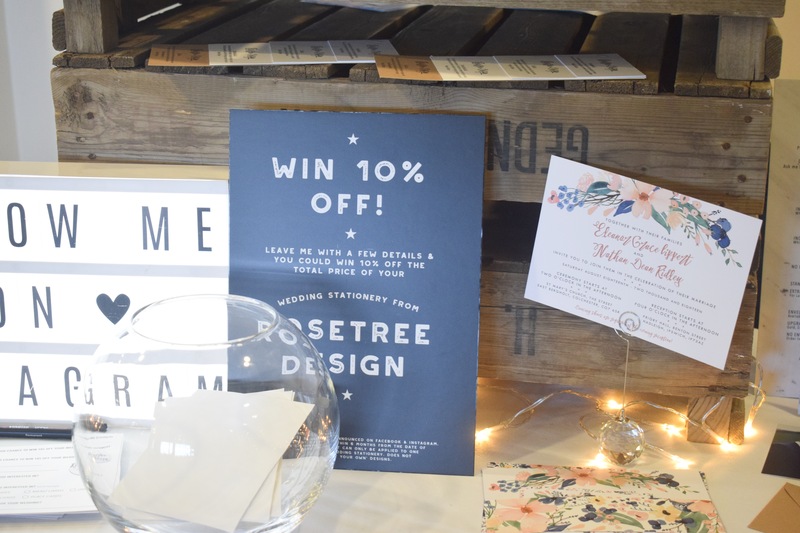 Whilst there were less exhibitors than I have found at larger wedding fayres (just as I expected), I actually found that the selection of exhibitors at this event was absolutely perfect! The exhibitors were the perfect mix of different, with something different that I am sure met everyone’s needs. Many of their stalls were eye-catching and I actually much-preferred the smaller setting of this fayre to the national ones, as it was much more enjoyable. 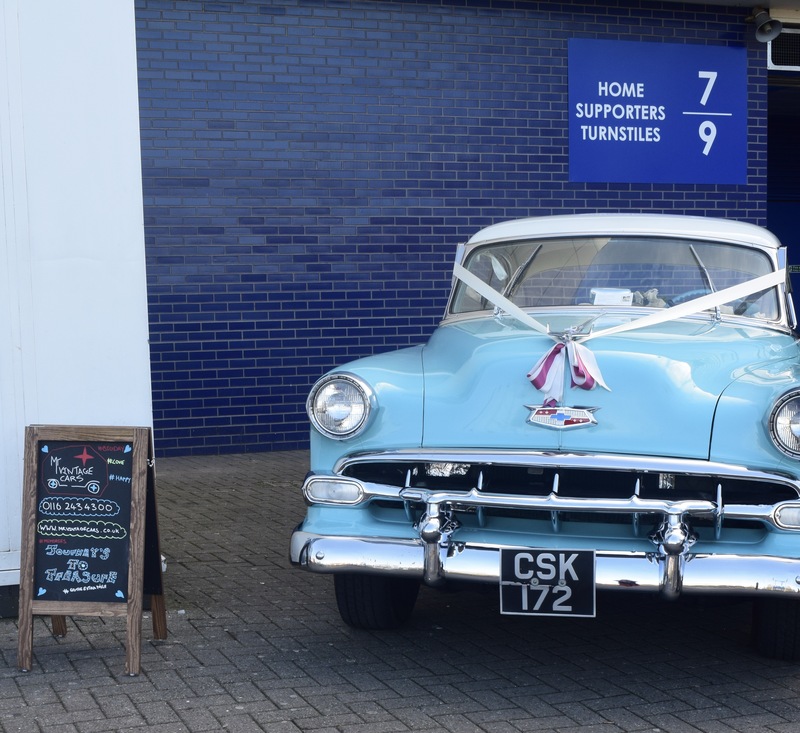 From wedding decorators, to photographers, to favour ideas, to vintage cars, and even live wedding singers; this event really did cover it all! Something else that was lovely is that Amanda got the number of attendees of the event just right. It was busy enough to have a lovely atmosphere, but it wasn’t so busy that you struggled to get around everything, or to speak to the people that you wanted to. Some of my favourite exhibitors from the show were Matt Glover photography, who’s candid photos are just so beautiful, plus he was bloody lovely to chat to! I was also a big fan of Chalk and Chill wedding singers, who are really talented and funny; perfect entertainment for your guests! 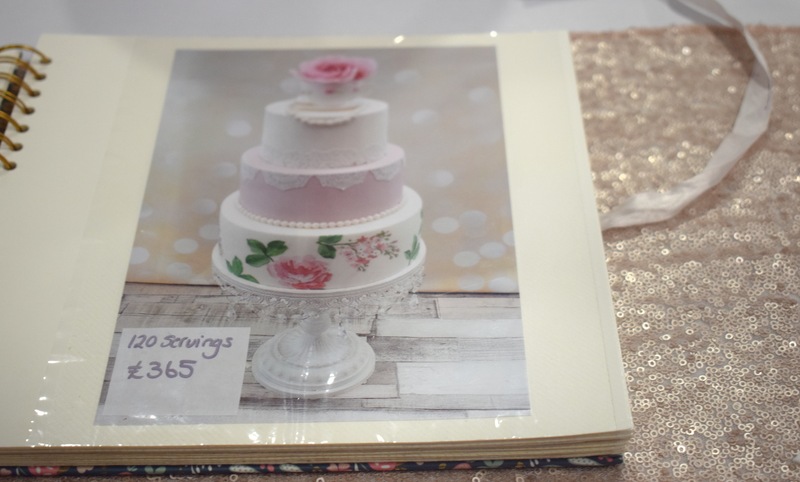 We also had chance to speak to the lovely Deliciously Divine Cake Design who’s cakes were amazing! Zack had the pleasure of trying *urm* a few samples and he just kept wanting to go back for more; he assures me, it really did taste that good! I cannot cover absolutely everyone in this post, but some other highlights in terms of the exhibitors at the fayre for me were the WOW business, Y7 Photo Booths, Mr Vintage Cars and Loros; who all bring something really unique and different to your special day. 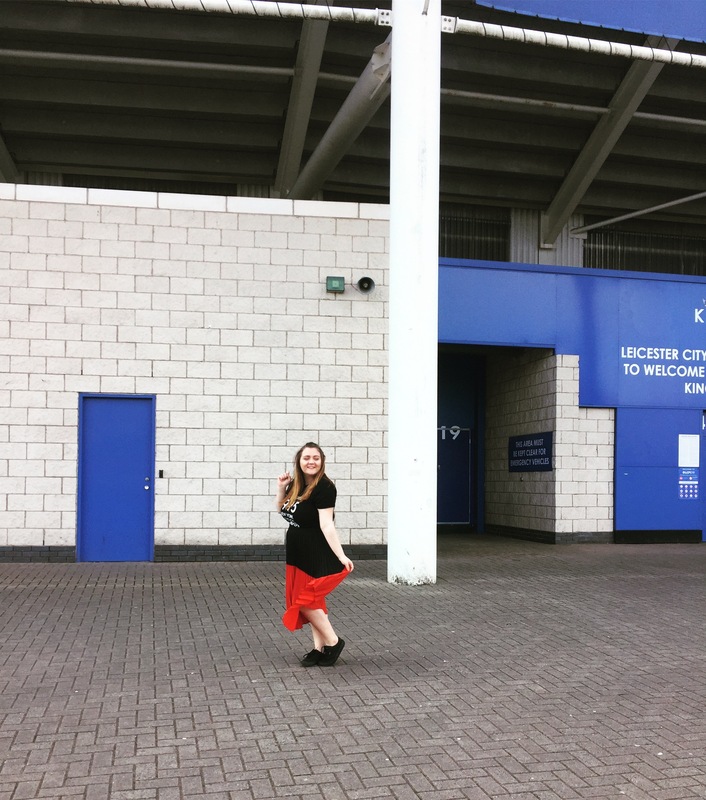 I also actually really loved King Power stadium as a wedding venue! It was definitely not a venue that had crossed my mind before, I mean, who thinks of a football stadium as a wedding venue? But I was pleasantly surprised by how nice it actually was, and the staff seemed lovely too! Another highlight of the fayre for me was the bridal catwalk! I actually did have chance to have a little chat with Amanda’s husband about this and he told me that this was the first time that they’d trialled a catwalk like this at a fayre, but I think that it worked really well! Everyone seemed to enjoy themselves and it’s really great to be able to see the dresses (and suits) actually on models; gives a much better picture of how they would look on the day. I can honestly say that I had a really wonderful time at Elegance of Happiness‘ wedding fayre, and would definitely attend another! The atmosphere created was fun and exciting, and I left feeling inspired to plan my wedding; rather than feeling stressed like I have done previously. I take my hat off to Amanda; she really did a wonderful job! The brides, grooms and their entourage that I saw all left beaming and brimming with excitement; which is something that is truly unique to Elegance of Happiness‘ wedding fayres. Amanda pours her everything into these events, and her passion definitely pays off. Do you live in the midlands area? Don’t worry if you missed this wedding fayre, Elegance of Happiness have got 3 more coming up in 2018! These include dates in May, July and October; so don’t hesitate to snap up your tickets for a truly great day out, and a very helpful insight into the wedding businesses in the area. You can also follow Elegance of Happiness on Facebook, Instagram, and Twitter to stay in-the-know about their upcoming events! Thank you so much to Elegance of Happiness for asking me to attend and cover this event; it was my absolute pleasure and I would definitely love to attend another in the upcoming future! 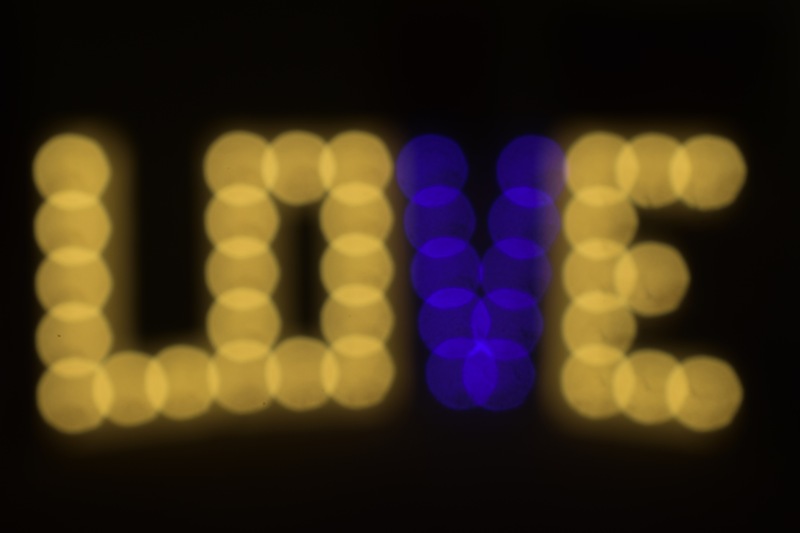 If you enjoyed this post, don’t forget to check out my YouTube video of the day! Reading all of your posts about wedding fayers makes me want to get married myself, haha! I love those cars – they’re incredible. And the cake looks good, too! This looks like such a lovely way to spend a day, it must make you so excited for your wedding! Zack definitely gave the wedding cake company the seal of approval with that taste testing hehe! A bridal catwalk is a brilliant idea, it’s a lovely way of seeing some fashions that are on offer! 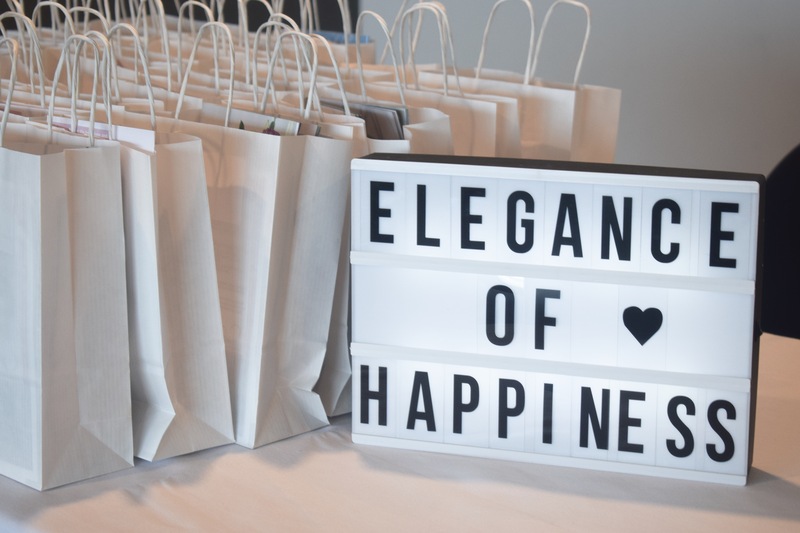 It sounds like Amanda did a fab job with the organisation, I’ll be recommending Elegance of Happiness events to any brides I know in the local area! I tried commenting on this last night and it kept refreshing in the middle of my comment and I lost it, anyway! Let’s hooe this one stays! I love the sound of this event and sounds super helpful for anyone who is planning a wedding – such an exciting time and experience! Wishing you all the best! I’m nowhere near CLOSE to being engaged and I am excited about this show ha! Bridal catwalk sounds amazing!? 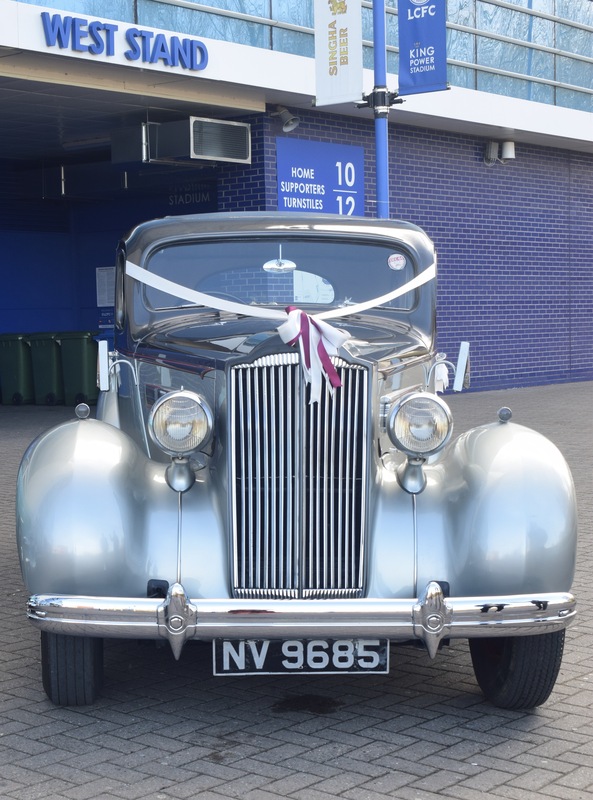 Also – those cars are so cute, I can just imagine feeling like a vintage princess rocking up to one of those at my wedding. I’ll def be telling any bride-to-bes that I know to keep an eye out for these events!